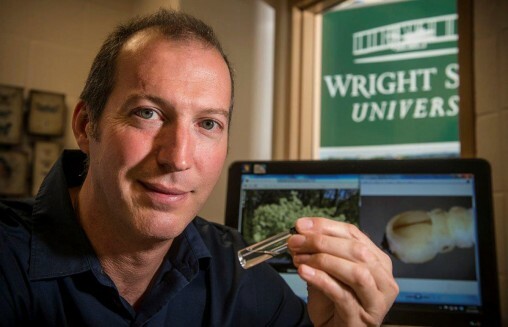 Wright State biology professor Don Cipollini suspects that the emerald ash borer, which is destroying ash trees in a large part of the country, has spread to a different tree. The emerald ash borer, which is destroying ash trees in a large swath of the nation, has spread to a different tree, a researcher at Wright State University suspects. 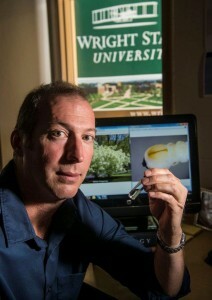 Biology professor Don Cipollini, Ph.D., director of the Environmental Sciences Ph.D. Program, has found that the invasive green beetle has begun to attack white fringetree. 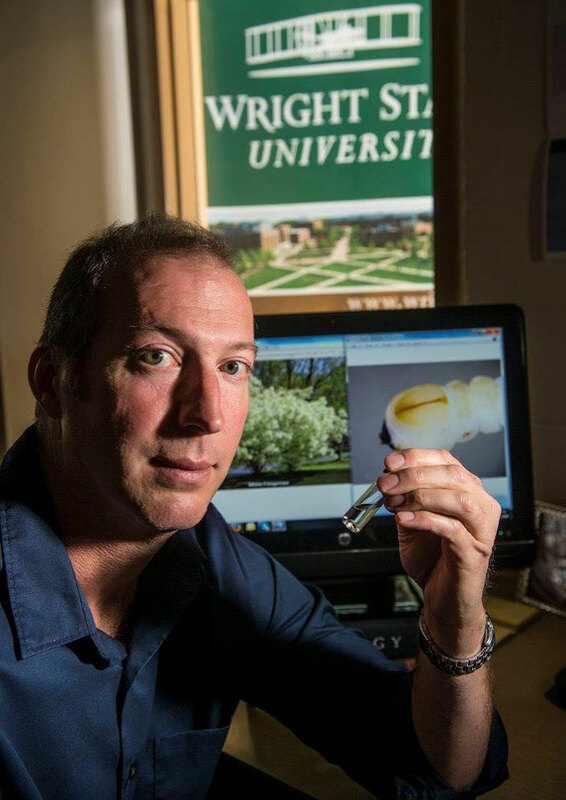 Don Cipollini, who has studied emerald ash borer for nearly 10 years, presented his findings to government officials and researchers at an emerald ash borer research review meeting Oct. 15. Cipollini, who has studied emerald ash borer for nearly 10 years in his position at the Dayton, Ohio university, has been working with colleagues to come up with new strains of ash trees that would be resistant to the insect. With colleagues and students, he has co-authored seven publications on the insect, with several others in review or preparation. Cipollini collected the larvae, took them back to his lab and put them under the microscope. The larvae were consistent with those of emerald ash borer – from the bifurcation of the pronotal groove to the abdominal segments becoming increasingly trapezoidal. Later Cipollini was able to exhume part of a dead adult beetle from the tree that failed to emerge two years ago. He then sent a larva and the adult specimen to experts at the Animal and Plant Health Inspection Service (APHIS) and the Agricultural Research Service (ARS), arms of the U.S. Department of Agriculture. The experts agreed that critical morphological features of both the larva and the adult match those of emerald ash borer. Importantly, the adult he found proved to be male, which is essential for a positive identification. “Wild populations of this tree, along with horticultural specimens, are now seemingly under threat like ash trees are, but work on these questions remain,” Cipollini said. He quickly wrote up a short paper on his discovery and sent it to the Journal of Economic Entomology, one of the Entomological Society of America’s main publications. Cipollini then presented his findings to APHIS officials and researchers at an emerald ash borer research review meeting on the Wooster campus of The Ohio State University on Oct. 15. Dan Herms, professor of entomology at Ohio State, said Cipollini’s discovery is significant. “It’s the first time the emerald ash borer has been found colonizing another species than ash,” Herms said. Cipollini said that if the emerald ash borer destroys white fringetree, the birds, insects and other wildlife dependent on the tree’s leaves and fruit may also be threatened. “It gets harder and harder for Mother Nature to handle that for us as you further and further reduce the pool of species that are present and their abundance,” he said.